The mother sang on ’til her Bridegroom’s return. Over the last year or so, after my family was privileged to see John McCutcheon in concert, this song has become one of my new favorite hymns. 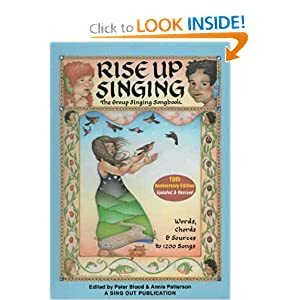 Lyrics and chords are found in Rise Up Singing , a songbook we have enjoyed since the girls were young (cf. Rise Up Singing demos by Matthew Vaughn ). This entry was posted in Art-Music-Lit. Bookmark the permalink.